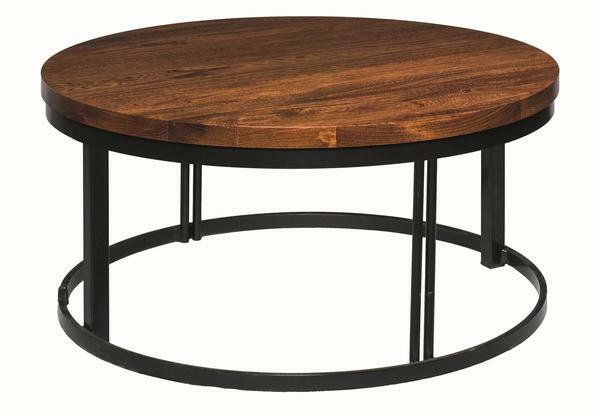 Our Amish Malibu Round Coffee Table is casually cool. The round, open design features a solid wood top and powdercoated steel base. This living room, office, or sitting room accent will look great in a contemporary, industrial, or beachy bohemian style home with its clean line design lending itself well to a variety of design styles. Custom options like wood type, finish, and powdercoat color allow you to truly make it yours. Shown in Grey Elm with OCS-113 and Lunar Black base.